Ecco il nostro appuntamento annuale con i "criminal proceedings" dell'ENI in giro per i tribunali del mondo. Come gia' detto, a suo tempo quei galantuomi dell'ENI mi mandarono lettere minacciose dicendomi di non tradurre queste parole, per cui ciascuno puo' interpretarle come vuole, anche se "criminal" parla da se. Quetse liste vengono compliate dall'ENI stessa, in un rapporto annuale, il 20-F form che tutte le ditte quotate su Wall Street devono presentare ai propri investitori e che devono essere pubbliche. Rising public concern related to climate change has led and could lead to the adoption of worldwide laws and regulations which could result in a decrease of demand for hydrocarbons and increased compliance costs for the Company. Cioe' lo dicono anche loro che *il pubblico* portera' all'adozione di leggi e regole che potrebbero portare alla diminuzione del consumo di fonti fossili. 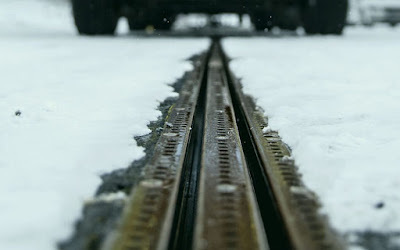 E' una piccola grande ammissione che le cose cambiano, e cambiano grazie a noi, consumatori, attivisti, persone che vogliono solo respirare aria pulita e tramandare un pianeta almeno non peggiore di quello che e' stato dato a noi. E considerato che l'ENI e' una delle principali ditte fossili del mondo, e noi semplici cittadini, questa ammissione e' una grande cosa. Ma torniamo al 20-F dell'ENI. Il reparto dei "criminal proceedings" dell'ENI contiene una dozzina di pagine, fitte fitte. Oltre ai "criminal proceedings" ci sono anche i "tax proceedings", "other proceedings concerning criminal matters", "legal proceedings", "settled proceedings", e "proceedings concerning criminal/administrative corporate responsibility". Non si fanno mancare niente, vero? E infatti, come sempre c'e' dentro un po di tutto e non sono cose belle: disastro ambientale, omicidio, omicidio colposo, nascita di bambini deformi, danni alla salute, avvelenamento della catena alimentare, corruzione, corruzione internazionale, mancanza di ripristino ambientale, avvelenamento di piante ed acqua, patologie nella fauna dovute all'esistenza di agenti velenosi, comportamento negligente, allarme sociale, antitrust, rilascio di contaminazione nel mare, discariche illegali, traffico illegale di rifiuti, scarico illegale di rifiuti, scarico non autorizzati di sostanze contaminanti, mancanza di ripristino ambientale di materiale radioattivo, danni gravi alla salute, morte di 12 operai, asbestos, scarichi non autorizzati di rifiuti industriali, inquimanento di terreni, perdite da serbatoi di raffineria, inquinamento del mare, cattiva gestione di rifiuti petroliferi, chiusura di impianti, arresti domiciliari, mancata valutazione di rischi chimici, danni alle persone da negligenza, violazione ai protocolli sulla salute e sicurezza, acque contaminate da tracce di idrocarburi, contaminazione, inquinamento illegale dell'ambiente, inquinamento da DDT nel Lago Maggiore, danni alla pesca, alti tassi di mercurio, anomalie congenite, accordi anticompetitivi, pagamenti illeciti, resituzione di profitti, tasse e rappresentazione fraudolenta, lavaggio di danaro sporco, evasione di tasse, sottrazione di carburante da manipolazione di distributori, cospirazione criminale di sottrazione abituale di prodotti petroliferi da tutti i 22 terminali di stoccaggio sul suolo nazionale, pratiche fraudolenti, manomissione di sistemi di misurazione, false misure e pesi, omissione di pagamento tasse sulle piattaforme. Syndial, ENIChem, Montedison, Versalis, ENI, ENI Mediterranea Idrocarburi, Eni Refining & Marketin, Raffineria di Gela SpA, GasTerra, Eni International BV, EniPower, Saipem, Snamprogetti, Nigerian Agip Exploration Ltd, Turrizziani Petroli, Agip KCO, Eni Zubair. Purtroppo in molti casi compare la parola "prescrizione". Non traduco, come da richiesta dell'ENI, ma come per "criminal proceedings" si capisce tutto da se. (ii) Syndial SpA and Versalis SpA — Porto Torres — Prosecuting body: Public Prosecutor of Sassari. In July 2011, the Public Prosecutor of Sassari (Sardinia) resolved that a number of officers and senior managers of companies engaging in petrochemical operations at the site of Porto Torres, including the manager responsible for plant operations of the Company’s subsidiary Syndial, would stand trial due to allegations of environmental damage and poisoning of water and crops. The Province of Sassari, the Municipality of Porto Torres and other entities have been acting as plaintiffs. The Judge for the Preliminary Hearing admitted as plaintiffs the above-mentioned parts, but based on the exceptions issued by Syndial on the lack of connection between the action and the charge, denied that the claimants would act as plaintiff with regard to the serious pathologies related to the existence of poisoning agents in the marine fauna of the industrial port of Porto Torres. In February 2013, the Prosecutor of Sassari notified the conclusion of preliminary investigations and requested a new imputation for negligent behaviour instead of illicit conduct. In the conclusions of the preliminary hearing, the Court of Sassari dismissed the accusation because of the statute of limitations. The Public Prosecutor filed an appeal before the Third Instance Court. After a hearing on a question of constitutional legitimacy concerning the period for the statute of limitations for the crime of disaster, the Third Instance Court recognized its validity and therefore accepted the claim and sent all the acts to the Constitutional Court. The Constitutional Court declared the question unfounded, considering that the statute of limitations for fraudulent hypothesis and the corresponding culpable hypothesis is an expression of a non-unreasonable legislative discretion, assuming that, in relation to certain culpable offenses causing social alarm, the complexity of the necessary investigations justifies a lengthening of the limitation periods. The Company is awaiting the remission of the documents to the Third Instance Court and, afterwards, to the Office of Public Prosecutor of Sassari. (iii) Syndial SpA and Versalis SpA — Porto Torres dock. In July 2012, the Judge for the Preliminary Hearing, following a request of the Public Prosecutor of Sassari, requested the performance of a probationary evidence relating to the functioning of the hydraulic barrier of Porto Torres site (ran by Syndial SpA) and its capacity to avoid the dispersion of contamination released by the site in the near portion of sea. Syndial SpA and Versalis SpA have been notified that its chief executive officers and other managers are being investigated. The Public Prosecutor of the Municipality of Sassari requested that the above-mentioned individuals would stand trial. The plaintiffs, the Ministry of Environment and the Sardinia Region, claimed environmental damage in an amount of €1.5 billion. On the hearing dated July 2016, the Judge pronounced an acquittal sentence for all defendants of Syndial and Versalis with respect to the crimes of environmental disaster. Three Syndial managers were found guilty of environmental disaster which took place in the area in the period limited to August 2010 – January 2011 and condemned to one-year prison, with a suspended sentence,. The Judge did not mention any possible malfunctioning of the hydraulic barrier of Porto Torres site or ineffective implementation of any emergency safety measure, as claimed by the Public Prosecutor. Syndial filed an appeal against this decision. (iv) Syndial SpA — The illegal landfill in Minciaredda area, Porto Torres site. In July 2015, the Judge for the Preliminary Hearing of the Court of Sassari, on request of the Public Prosecutor, seized of the Minciaredda landfill area, near the western border of the Porto Torres site (Minciaredda area). All the indicted have been served a notice of investigation for alleged crimes of carrying out illegal waste disposal and environmental disaster. The seizure provision involved as well Syndial in accordance with the Legislative Degree No. 231 of 2001. With reference to the clean-up activities in the Minciaredda area, on January 27, 2016 the relevant administrative body approved the project for the soil clean-up in the Minciaredda area. Syndial obtained all the necessary ministerial and judicial authorizations to start the remediation project. The Prosecutor notified the conclusion of the preliminary investigations. (v) Syndial SpA — The Phosphate deposit at Porto Torres site (1). In 2015, the Judge for the Preliminary Hearing of the Court of Sassari, accepting a request of the Public Prosecutor of Sassari, seized — as a preventive measure — the area of “Palte Fosfatiche” (phosphates deposit) located on the territory of Porto Torres site, in relation to alleged crimes of environmental disaster, carrying out of unauthorized disposal of hazardous wastes and other environmental crimes. Subsequent to a specific request, both the Public security officer of Sassari and the Judge for the Preliminary Hearing of the Court of Sassari authorized to implement better delimitations of the landfill area, to provide the area with devices for monitoring the level of environmental pollutants and meteoric waters. The investigations are underway. (vi) Syndial SpA — Phosphate deposit at Porto Torres site (2). In 2015, the Public Prosecutor at the Court of Sassari seized — as a probative measure — the containment systems for the meteoric waters in the area “Palte Fosfatiche” (phosphates deposit). These waters are being collected by Syndial following authorizations of the Public security officer of Sassari and the Judge for the Preliminary Hearing of the Court of Sassari. The indicted have also been served a notice of investigation for alleged crimes of omitted clean-up and management of radioactive waste. The Public Prosecutor decided to suspend the activities of collection, containment and preservation of the area, in spite that those activities have already been authorized. Syndial filed a request to continue conducting clean-up operations to the Court of Sassari. The investigations are underway. (vii) Syndial SpA — Public Prosecutor of Gela. The proceeding, involving 17 former managers of the Eni Group, regards alleged crimes of culpable manslaughter and grievous bodily harm related to the death of 12 former employees and alleged work-related diseases that those persons may have contracted at the plant of Clorosoda. Alleged crimes relate to the period from 1969, when the Clorosoda plant commenced the operations until 1998 when the plant was shut down and clean-up activities were performed. The Public Prosecutor requested a medical appraisal on over 100 people that were employed at the above-mentioned plant. This appraisal was performed by independent consultants designated by the Judge for preliminary investigation and did not find any evidence that the various diseases identified from the medical appraisal could be directly linked to the exposure to emissions related to the production of chlorine and caustic soda. The consultants also found that production activities were in compliance with applicable laws and regulations on health and safety. Following the outcome of the assessment, the Public Prosecutor of Gela issued a notice of conclusion of preliminary investigations in relation to 4 cases, contesting personal injuries and claimed the indictment only in one case concerning a worker who died in the meantime. Therefore, compared to the initial claim that concerned several (more than one hundred) cases of personal injury and manslaughter, the proceeding was downsized. Following the preliminary hearing dated June 2017, the Judge accepted the defensive arguments and issued a ruling of nonsuit because the case was judged groundless. The Public Prosecutor appealed the first-degree sentence. Also for the proceeding concerning the four cases that are part of a dedicated proceeding, the Judge issued a ruling of nonsuit. (viii) Syndial SpA — Proceeding on the asbestos at the Ravenna site. A criminal proceeding is pending before the Tribunal of Ravenna about the crimes of culpable manslaughter, injuries and environmental disaster, which would have been allegedly committed by former Syndial employees at the site of Ravenna. The site was taken over by Syndial following a number of corporate mergers and acquisitions. The alleged crimes date back to 1991. In the proceeding there are 75 alleged victims. The plaintiffs include relatives of the alleged victims, various local administrations, and other institutional bodies, including local trade unions. The advocacy of Syndial claimed the statute of limitation about the instance of environmental disaster for certain instances of diseases and deaths. The Judge for the Preliminary Hearing at Ravenna decided that all defendants would stand trial and ascertained the statute of limitation only with reference to certain instances of crime of culpable injury. Syndial signed some settlements. In November 2016, the Judge acquitted the defendants for all the contested cases except for one case for which sentenced 6 of 15 defendants. The defendants, the Prosecutor and the plaintiffs appealed the decision. (ix) Raffineria di Gela SpA and Eni Mediterranea Idrocarburi SpA — Alleged environmental disaster. A criminal proceeding is pending in relation to crimes allegedly committed by the managers of the Raffineria di Gela SpA and EniMed SpA relating environmental disaster, unauthorized waste disposal and unauthorized spill of industrial wastewater. 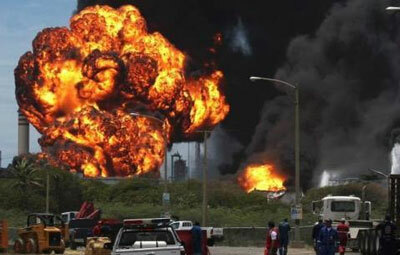 The Gela Refinery has been sued for administrative offence in accordance with the Law Decree No. 231 of 2001. This criminal proceeding initially regarded soil pollution allegedly caused by spills from 14 tanks of the refinery storage, which had not been provided with double bottoms, and pollution of the sea water near the coastal area adjacent to the site due to the failure of the barrier system implemented as part of the clean-up activities conducted at the site. 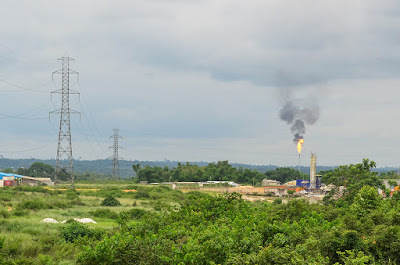 At the closing of the preliminary investigation, the Public Prosecutor of Gela merged into this proceeding the other investigations related to the pollution occurred at the other sites of the Gela refinery as well as hydrocarbon spills of EniMed. The proceeding is pending at the first hearing. (x) Proceeding Val d’Agri. On March 2016, the Italian Public Prosecutor’s Office of Potenza started a criminal investigation in order to ascertain the existence of an illegal handling of waste material produced at the Viggiano oil center (COVA), part of the Eni-operated Val d’Agri oil complex. After a two-year investigation, the Prosecutors decided for the domiciliary detention of 5 Eni employees and to put under seizure certain plants functional to the production activity of the Val d’Agri complex which, consequently, was shut down (60 KBOE/d net to Eni). From the commencement of the investigation, Eni has carried out several technical and environmental surveys, with support of independent experts of international reach, who recognized a full compliance of the plant and the industrial process with requirements of the applicable laws, as well as with best available technologies and international best practices. The Company studied certain corrective measures to upgrade plants which, although being not a structural solution, were intended to address the claims made by the public prosecutor about an alleged operation of blending which would have occurred during normal plant functioning. Those measures comprised building a gathering system of inherent liquid associated with the extraction of hydrocarbons at the gas lines. Those corrective measures were favourably reviewed by the public prosecutor, who granted Eni a temporary repeal of the seizure in order to allow the Company perform the works and subsequently, after an inspection, the Prosecutor issued the decision for a definitive release from seizure of the plant while the Region took note of the measure for legal competence. The Company restarted the plant through re-injections into the Costa Molina 2 well on August 2016. Simultaneously, the Company began the review procedure at AIA. In May 2016, the Public Prosecutor’s Office completed the investigations with a request for indictment for all the defendants and the Company. The preliminary hearing ended in April 2017 with confirmation of the indictment for all the defendants and the Company. The trial started in November 2017. The proceeding is at the preliminary hearings. 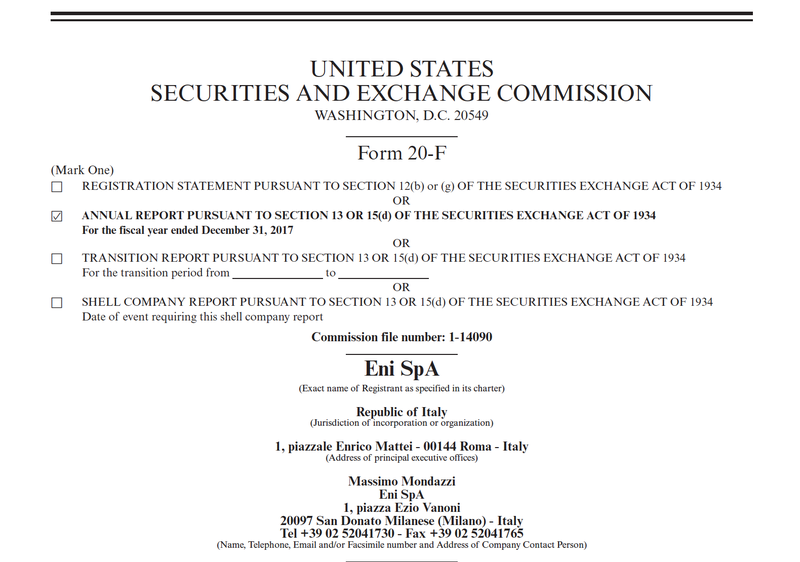 (xi) Eni SpA — Health investigation related to the COVA center. Beside the criminal proceeding for illegal trafficking of waste, the Public Prosecutor started another investigation in relation to alleged health violations. The Public Prosecutor requested the formal opening of an investigation with respect to nine people in relation to alleged violations of the rules providing for the preparation of a Risk Assessment Document of the working conditions at the Val d’Agri Oil Center (COVA). In March 2017, following the request of the Consultant of the Prosecutor, the Labor Inspectorate of Potenza issued a fine against the employers of the COVA for omitted and incomplete assessment of the chemical risks for the COVA center. In October 2017, following the request of the Consultant of the Prosecutor, the National Mining Office for Hydrocarbons and Geo-resources (UNMIG) requested the transfer to a different task of 25 employees of the COVA center for improper assessment of their suitability to the current tasks expressed by the Eni personnel in charge of assessing the health risk profile of employees. Against this decision, the Company filed a formal objection and the UNMIG repealed the resolution issued. Furthermore, in October 2017, the Prosecutor’s Office changed the crime allegations to disaster, murder and negligent personal injury, also alleging breaches of health and safety regulations. Given the level of risk, in December 2017, Eni filed a request for pre-trial hearing for gathering evidence on the matter that was rejected by the Judge. (xii) Proceeding Val d’Agri — Tank spill. On February 2017, the Carabinieri of NOE department of Potenza ascertained a stream of water contaminated by unknown hydrocarbon traces flowing inside a little shaft located outside the Val d’Agri Oil Center (COVA). The activities carried out by Eni at the COVA aimed at reconstructing the origin of the contamination and have identified the cause in a failure of a tank, while outside of the COVA, following the environmental monitoring implemented, emerged a risk — currently averted — of extension of the contamination in the downstream area of the plant. In executing these activities, Eni performed all the communications provided for by the Legislative Decree 152/06 and started certain emergency safe-keeping operations at the areas subject to contamination outside the COVA. In addition, it is in progress the arrangement plan approved by the relevant Entities is in progress at the internal and external areas of the COVA. Following this event, a criminal investigation was initiated in order to ascertain the existence of illicit environmental pollution against the former and the current COVA officer, the HSE Manager and the Operations Manager in office at the time of the fact. Investigations are ongoing. On April 18, 2017, Eni, on its own initiative, suspended the industrial activity at the COVA, anticipating the provisions of the Regional Council Resolution issued on April 19. On July 2017, Eni restarted the plant’s operational activities. The resumption follows the approval from the Basilicata Region confirming the functionality of the plant and the presence of all necessary safety conditions. During the temporary closure, Eni performed all the requirements provided for by the relevant authorities, including the provision of a double bottom to the tank from which the spillage arose. Negotiations are undergoing for the determination of the compensation of damages suffered by the owners of the areas bordering the COVA and impacted by the event. In February 2018, the Company presented an Extraordinary Appeal to the President of the Republic against the reports of the Italian Department of Firemen dated 30 October 2017 and 15 December 2017 in which Eni is requested to integrate the Safety Report 2016 with the evaluation of possible, highest-risk event, that is an oil spill coming from the bottom of the crude oil storage tanks. With the appeal, Eni stated that it does not consider itself obliged to carry out the integration required, considering that the data acquired in the area affected by the event show that the loss was promptly and efficiently controlled and there were no situations of serious danger to human health and environment. 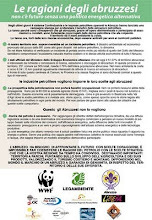 (i) Syndial SpA — Summon for alleged environmental damage caused by DDT pollution in the Lake Maggiore — Prosecuting body: Ministry for the Environment. 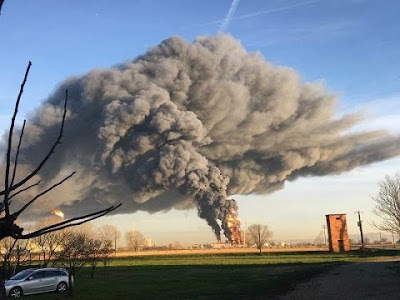 In May 2003, the Ministry for the Environment summoned Syndial requesting the compensation of an alleged environmental damage caused by the activity at the Pieve Vergonte plant in the years 1990 through 1996. With a temporarily executive sentence dated July 2008, the District Court of Turin sentenced the subsidiary Syndial SpA to compensate environmental damages amounting to €1,833.5 million, plus legal interests accrued from the filing of the decision. Eni and its subsidiary deemed the amount of the environmental damage to be absolutely groundless as the sentence lacked sufficient elements to support such a material amount of the liability charged with respect to the volume of pollutants ascertained by the Italian Environmental Minister. In July 2009, Syndial filed an appeal against the above-mentioned sentence, and consequently the proceeding continued before a Second Degree Court of Turin that requested a technical appraisal on the matter. The consultants validated the technical appraisal and the other technical assessments that were carried out by the Company together with local and national technical entities. The consultants concluded that: (i) no further measure for environmental restoration is required; (ii) there was no significant and measurable impact on the environment of the ecosystem, therefore no restoration or damage compensation should be claimed. The only impact which could be recorded concerned the fishing activity, with an estimated damage of €7 million which could be already restored through the measures proposed by Syndial; (iii) the necessity and convenience of dredging should be definitely excluded, both from the legal and scientific point of view, while confirming technical and scientific correctness of the Syndial’s approach based on the monitoring of the process of natural recovery, which is estimated to require 20 years. In March 2017, the Second Degree Court: (i) excluded the application of compensation for monetary equivalent (Article 18 of Law 349/1986); (ii) annulled the monetary compensation of €1.8 billion requesting Syndial to perform the already approved cleanup project of the polluted areas, which comprise groundwater, as well as compensatory remediation works. The value of these compensatory works required by the Court, in case of Syndial failure or misperformance, is estimated at €9.5 million. The cleanup project filed by Syndial was ratified by local and governmental authorities and is currently being executed. Expenditures expected to be incurred have been provisioned in the environmental provision. Any other claims filed by the Italian Minister for the Environment were rejected (including compensation for non-material damage). On April 4, 2018, the Ministry for the Environment filed an appeal to the Third Instance Court. (ii) Ministry for the Environment — Augusta harbor. 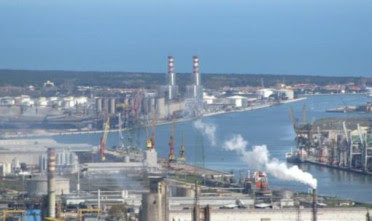 The Italian Ministry for the Environment with various administrative acts required companies that were running plants in the petrochemical site of Priolo to perform safety and environmental remediation works in the Augusta harbor. Companies involved include Eni subsidiaries Versalis, Syndial and Eni Refining & Marketing Division. Pollution has been detected in this area primarily due to a high mercury concentration that is allegedly attributed to the industrial activity of the Priolo petrochemical site. The above-mentioned companies contested these administrative actions, objecting in particular the nature of the remediation works decided and the methods whereby information on the pollutants concentration has been gathered. A number of administrative proceedings started on this matter were subsequently merged before the Regional Administrative Court of Catania. In October 2012, the Court ruled in favor of Eni’s subsidiaries against the Ministry prescriptions about the removal of the pollutants and the construction of a physical barrier. In September 2017, the Ministry notified all the companies involved of a formal notice for the start of remediation and environmental restoration of the Augusta harbor within 90 days. The act, contested by the co-owner companies in December 2017, constitutes a formal notice for environmental damage. (iii) Claim for preventive technical inquiry — Court of Gela. In February 2012, Eni’s subsidiaries Raffineria di Gela SpA and Syndial SpA and the parent company Eni SpA (involved in this matter through the operations of the Refining & Marketing Division) were notified of a claim issued by 33 parents of children born malformed in the Municipality of Gela between 1992 and 2007. The claim for preventive technical inquiry aimed at verifying the relation of causality between the malformation pathologies suffered by the children of the plaintiffs and the environmental pollution caused by the Gela site (pollution deriving from activities conducted at the industrial plant by Raffineria di Gela SpA and Syndial SpA), quantifying the alleged damages suffered and eventually identifying the terms and conditions to settle the claim. In any case, the same issue was the subject of previous criminal proceedings, of which one closed without ascertainment of any illicit behavior on the part of Eni or its subsidiaries, while a further criminal proceeding is still pending. The consultants appointed by the Court and those designated by the plaintiffs performed a technical appraisal on the matter, reaching very different outcomes. Thus, parties failed to reach a settlement of the matter. On December 2015, the three companies involved were sued in relation to a total of 30 cases of compensation for damages in civil proceedings. The proceedings are still pending. 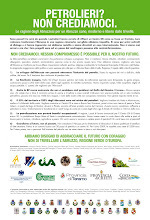 (iv) Environmental claim relating to the Municipality of Cengio. The Ministry for the Environment and the Delegated Commissioner for Environmental Emergency in the territory of the Municipality of Cengio summoned Syndial before a Civil Court and sentenced Eni’s subsidiary to compensate the environmental damage relating to the site of Cengio. The request for environmental damage amounted to €250 million to which add health damage to be quantified during the proceeding. The plaintiffs accused Syndial of negligence in performing the clean-up and remediation of the site. In February 2014, the Court ruled a technical appraisal to verify the existence of the environmental damage. Following failed attempts to define a settlement agreement on the matter among the parties involved, the Judge resumed the trial and requested an independent appraisal on the matter. (v) Syndial SpA and Versalis SpA — Summon for alleged environmental damage caused by illegal waste disposal in the municipality of Melilli (Sicily). In May 2014, the Municipality of Melilli summoned Eni’s subsidiaries Syndial and Versalis for the environmental damage allegedly caused by carrying out illegal waste disposal activities and unauthorized landfill. 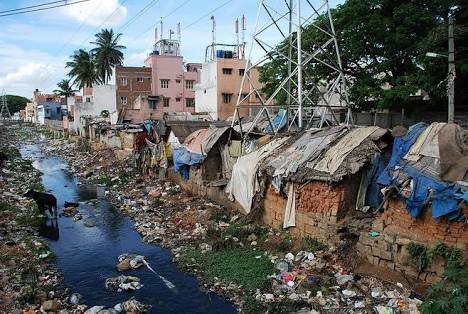 In particular, the plaintiff claimed the responsibilities of Syndial and Versalis for the production of waste and because they commissioned the waste disposal. The plaintiff stated that this illegal handling of waste was part of certain criminal proceedings dating back to 2001 – 2003 which would have allegedly traced the hazardous waste materials back to the Priolo and Gela industrial sites that are managed by the above-mentioned Eni’s subsidiaries (in particular, the waste with high mercury concentration and railway sleepers no longer in use). Such waste was allegedly handled and disposed illegally at an unauthorized landfill owned by a third party (located about 2 kilometers from the town of Melilli). The claim amounted to €500 million and referred to two Group’s subsidiaries and SMA.RI, the company that carries out activities of waste disposal, being jointly and severally liable. In June 2017, the Judge accepted all the defensive instances of Syndial and Versalis stating the requests of the Municipality inadmissible for lack of locus standi and considering the requests as unfounded or unproved, and sentenced the Municipality to the reimbursement of the costs of the proceeding. In September 2017, the Municipality appealed the ruling requesting a new investigation and the admission of a technical appraisal, as well as the suspension of the enforcement of the sentence of first instance. (vi) Summon for Eni, Raffineria di Gela SpA, EniMed SpA, and Syndial SpA. 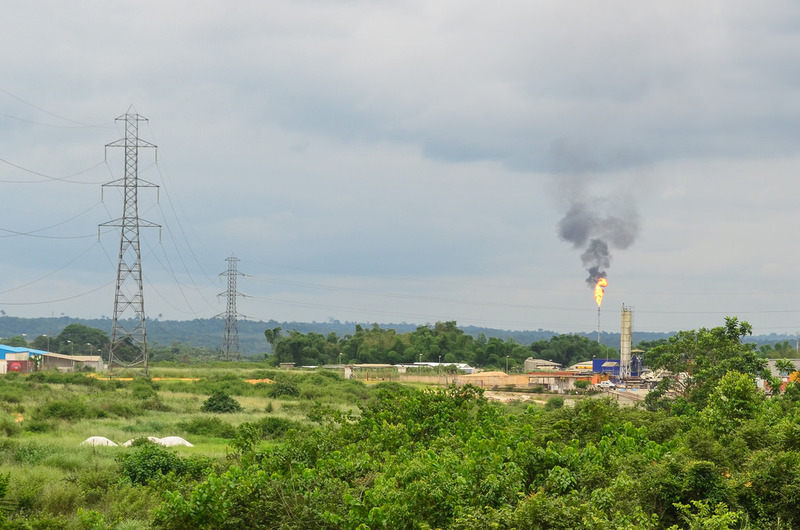 In December 2015, 273 Gela residents filed an appeal to the Court of Gela requesting to halt all the production activities conducted by Eni’s subsidiaries at Gela site in order to put an end to environmental pollution affecting the health of the local population. The claimants also requested the appointment of commissioners in charge of carrying out the plants shutdown and of continuing implementing of clean-up activities in the area. Besides that, they requested the Court to order the Municipality of Gela — as a competent body in the field of health protection — to adopt certain provisions aimed to preserve the health of the local population. 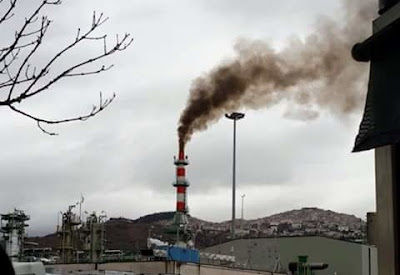 This proceeding arose in connection with an alleged environmental damage caused by the industrial activities of the site and consequent necessity to protect the population from serious harm to the health. The initiative was enforced by certain technical assessments performed by consultants appointed by the Court on the preliminary stage. The aim of these assessments was to establish cause-and-effect relationships between the industrial contamination and congenital anomalies reported in the town of Gela. Following the outcome of the investigation, in December 2017 the Court of Gela rejected all the claims of the plaintiffs and condemned them to pay the expenses of the proceeding. The plaintiffs appealed the decision. (i) Reorganization procedure of Alitalia Linee Aeree Italiane SpA under extraordinary administration. On January 2013, the Italian airline company Alitalia, which was undergoing a reorganization procedure, summoned Eni, Exxon Italia and Kuwait Petroleum Italia SpA before the Court of Rome, to obtain a compensation for alleged damages caused by a presumed anti-competitive behavior on part of the three petroleum companies in the supply of jet fuel in the years 1998 through 2009. The claim was based on a deliberation filed by the Italian Antitrust Authority in June 2006. The antitrust deliberation accused Eni and other five petroleum companies of anti-competitive agreements designed to split the market for jet fuel supplies and blocking the entrance of new players in the years 1998 through 2006. The antitrust findings were substantially endorsed by an administrative court. Alitalia has made a claim against the three petroleum companies jointly and severally presenting two alternative ways to assess the alleged damages. A first assessment of the overall damages amounted to €908 million. This was based on the presumption that the anti-competitive agreements among the defendants would have prevented Alitalia from autonomously purchasing supplies of jet fuel in the years when the existence of the anti-competitive agreements were ascertained by the Italian Antitrust Authority and in subsequent years until Alitalia ceased to operate airline activity. Alitalia asserted the incurrence of higher supply costs of jet fuel of €777 million excluding interest accrued and other items that add to lower profitability caused by a reduced competitive position in the marketplace estimated at €131 million. Another assessment of the overall damage made by Alitalia stand at €395 million of which €334 million of higher purchase costs for jet fuel and €61 million of lower profitability due to the reduced competitive position on the marketplace. With a decision dated May 2014, the Court of Rome declared the connection with a judgment previously proposed by Alitalia itself before the Court of Milan against other oil companies participating to an alleged cartel agreement. The case was thus summed up by Alitalia before the Court of Milan. In September 2017, the Court of Milan ruled that: (i) the requests of Alitalia for the period 1998 – 2004 were prescribed; (ii) for the period subsequent to June 2006, no further assessment should be carried out, since Alitalia has failed to meet its burden of allegation; (iii) for the period between December 2004 and June 2006, a specific technical appraisal will be carried out. Eni accrued a provision with respect to this proceeding. (ii) Eni’s arbitration with GasTerra. In 2013, Eni initiated an arbitration against GasTerra, as part of a long-term supply contract signed in 1986, to obtain a revision of the price charged by GasTerra to Eni for the gas supplied in the 2012 – 2015 period. On that occasion, Eni and GasTerra agreed to apply a provisional price, which was lower than the previous price, until the definition of a new contractual price based on an arrangement between parties or an arbitration award. The arbitration award dismissed Eni’s claim for price revision, without however determining a new price applicable in the relevant period. GasTerra considered that, by dismissing Eni’s claim, the award restored the original contract price, based on which GasTerra now claims an additional amount to be paid by Eni which corresponds to the difference between the provisional price and the contractual price. Eni, relying also on the opinion of its external consultants, does not agree with GasTerra’s interpretation and considers GasTerra’s claim groundless. However, GasTerra, based on its own interpretation, commenced an arbitration and obtained from a Dutch court the provisional seizure of Eni’s investment in its subsidiary Eni International BV (which at the time of the seizure i.e. at the reporting date June 30, 2016, stated consolidated net assets of €34.7 billion) for the alleged receivable due by Eni (equal to €1.01 billion). With respect to the interim seizure measure obtained by GasTerra, Eni offered to GasTerra, who in turn accepted, a bank guarantee of the same amount of the GasTerra claim. This guarantee is expected to remain effective until a final award by the arbitration procedure. The measure, which was granted after a summary review only and without Eni being heard, does not prejudice the outcome on the merits of the claims. The merits of the dispute will be ruled by a new arbitration proceeding. (i) EniPower SpA. In June 2004, the Public Prosecutor of Milan commenced inquiries into contracts awarded by Eni’s subsidiary EniPower and on supplies from other companies to EniPower. It emerged that illicit payments were made by EniPower suppliers to a manager of EniPower who was immediately fired. The Court served EniPower (the commissioning entity) and Snamprogetti (now Saipem SpA) (contractor of engineering and procurement services) with notices of investigation in accordance with Legislative Decree No. 231/2001 that establishes that the companies are liable for the crimes committed by their employees who acted on behalf of the employer. In August 2007, Eni was notified that the Public Prosecutor requested the dismissal of EniPower SpA and Snamprogetti SpA, while the proceeding continues against former employees of these companies and employees and managers of the suppliers under the provisions of Legislative Decree No. 231/2001. Eni SpA, EniPower and Snamprogetti presented themselves as plaintiffs. In September 2011, the Court of Milan found that nine persons were guilty for the above-mentioned crimes. In addition, they were sentenced jointly and severally to the payment of all damages to be assessed through a specific proceeding and to the reimbursement of the proceeding expenses incurred by the plaintiffs. The Court also resolved to dismiss all the criminal indictments for 7 employees, representing some companies involved as a result of the statute of limitations, while the trial ended with an acquittal of 15 individuals. In relation to the companies involved in the proceeding, the Court found that 7 companies are liable based on the provisions of Legislative Decree No. 231/2001, imposing a fine and the disgorgement of profit. Eni SpA and its subsidiaries, EniPower and Saipem, which took over Snamprogetti, acted as plaintiffs in the proceeding also against the mentioned companies. The Court rejected the position as plaintiffs of the Eni Group companies, reversing the prior decision made by the Court. This decision may have been made based on a pronouncement made by a Supreme Court that stated the illegitimacy of the constitution as plaintiffs against any legal entity, as indicted under the provisions of Legislative Decree No. 231/2001. The condemned parties filed appeal against the above-mentioned decision. The Appeal Court issued a ruling that substantially confirmed the first-degree judgment except for the fact that it ascertained the statute of limitation with regard to certain defendants. In 2015, the Supreme Court annulled the judgment of the Second Degree Court ascribing the judgment to another section that, once more, confirmed the sentence of first instance, excepting the rulings of the previous appeal sentence not subject to annulment, including the statute of limitation. The filing of the statement of grounds is still pending. (ii) Algeria. Legal proceedings are pending in Italy and outside Italy in connection with an allegation of corruption relating to the award of certain contracts to Eni’s former subsidiary Saipem in Algeria. In February 2011, Eni received from the Public Prosecutor of Milan an information request pursuant to the Italian Code of Criminal Procedure. The request related to allegations of international corruption and pertained to certain activities performed by Saipem Group companies in Algeria (in particular the contract between Saipem and Sonatrach relating to the construction of the GK3 gas pipeline and the contract between Galsi, Saipem and Technip relating to the engineering of the ground section of a gas pipeline). The crime of international corruption is among the offenses contemplated by the Italian Legislative Decree No. 231/2001 which provides for corporate liability for crimes committed by employees and prescribes punishments including fines and the disgorgement of profit. Eni also voluntarily provided to the Public Prosecutor documentation relating to the MLE project (in which Eni’s Exploration & Production Division participates), with respect to which investigations in Algeria are ongoing. In November 2012, the Public Prosecutor served Saipem a notice stating that it had commenced an investigation for alleged liability of the company for international corruption in accordance with Legislative Decree No. 231/2001. Furthermore, the Public Prosecutor requested the production of certain documents relating to certain activities in Algeria. Subsequently Saipem was served a notice of seizure, then a request for documentation and finally a search warrant was issued, in order to obtain further documentation, in particular relating to certain intermediary contracts and sub-contracts entered into by Saipem in connection with its Algerian business. Several former Saipem employees were also involved in the proceeding, including the former CEO of Saipem, who resigned from the office in December of 2012, and the former Chief Operating Officer of the Business Unit Engineering & Construction of Saipem, the employment of whom was terminated at the beginning of 2013. In February 2013, on mandate from the Public Prosecutor of Milan, the Italian Finance Police visited Eni’s headquarters in Rome and San Donato Milanese and executed searches and seized documents relating to Saipem’s activity in Algeria. On the same occasion, Eni was served a notice that an investigation had commenced in accordance with Legislative Decree No. 231/2001 with respect to Eni, Eni’s former CEO, Eni’s former CFO and another senior manager. Eni’s former CFO had previously served as Saipem’s CFO, including during the period in which alleged corruption took place and before being appointed as CFO of Eni on August 1, 2008. Following receipt of this notice, Eni conducted an internal investigation with the assistance of external consultants, in addition to the review activities performed by its audit and internal control departments and a team dedicated to the Algerian matters. During 2013, the external consultants reached the following results: (i) the review of the documents seized by the Milan prosecutors and the examination of internal records held by Eni’s global procurement department have not found any evidence that Eni entered into intermediary or any other contractual arrangements with the third parties involved in the prosecutors’ investigation; the brokerage contracts that were identified, were signed by Saipem or its subsidiaries or predecessor companies; and (ii) the internal review made on the MLE project, the only project that Eni understands to be under the prosecutors’ investigation where the client is a Eni Group company has not found evidence that any Eni employee engaged in wrongdoing in connection with the award to Saipem of two main contracts to execute the project (EPC and Drilling). Furthermore, in 2014, with the assistance of external consultants, Eni completed a review of the extent of its operating control over Saipem with regard to both legal, accounting and administrative issues. The findings of that review confirmed the autonomy of Saipem from the parent company during the relevant periods. The findings of Eni’s internal review have been provided to the Judicial Authority in order to reaffirm Eni’s willingness to fully cooperate. In January 2015, the Public Prosecutor notified the conclusion of preliminary investigations relating to Eni, Saipem and eight persons (including, the former CEO and CFO of Eni and the Chief Upstream Officer of Eni who was responsible for Eni Exploration & Production activities in North Africa at the time of the events under investigation). The Public Prosecutor issued a notice of alleged international corruption against all such persons (including Eni and Saipem on the basis of the provisions of Legislative Decree No. 231/2001) in connection with the entry into intermediary contracts by Saipem in Algeria. Furthermore, some of the defendants (including the former CEO and CFO of Eni and the Chief Upstream Officer of Eni) were accused of tax offenses for alleged fraudulent misrepresentation in relation to the accounting treatment of these contracts for the fiscal years 2009 and 2010. After receiving (i) the evidence collected in connection with the Public Prosecutor’s request to take testimony of two individuals under investigation in late 2014, and (ii) the minutes of the preliminary hearing and the documents filed in connection with the conclusion of the preliminary investigation, Eni requested that its consultants perform additional analysis and investigation. 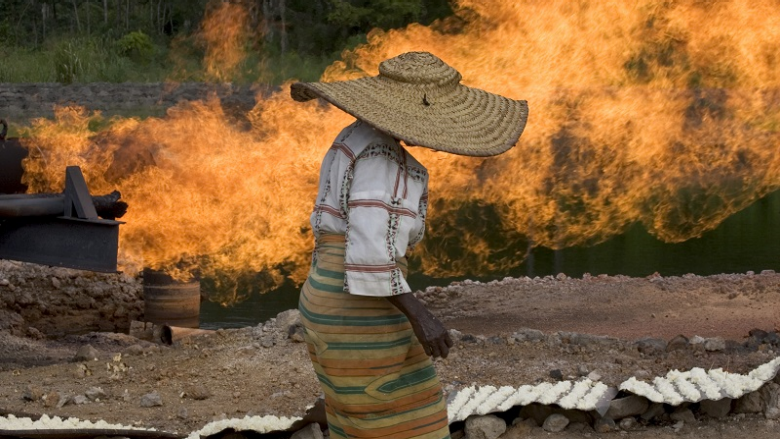 As a result, Eni’s consultants reaffirmed their conclusions previously reported to the Company. In February 2015, the Public Prosecutor requested the indictment of all the investigated persons for international corruption as well as the tax offenses mentioned above. In 2015, the Judge for the Preliminary Hearing of the Court of Milan dismissed the case and granted an acquittal in favor of Eni, former Chief Executive Officer and Chief Upstream Officer for all the alleged offenses. In February 2016, the Court of Third Instance, upholding an appeal presented by the Public Prosecutor, reversed the dismissal, annulled the verdict, and remanded the proceedings to another Judge for the Preliminary Hearing in the Court of Milan. As a result of the new preliminary hearing in July 2016, the Judge ordered the trial for all defendants, including Eni. At the hearing on February 26, 2018, the Public Prosecutor, concluding his indictment, requested — among other things — the conviction of Eni for the payment of a pecuniary sanction. The discussion of the defensive arguments of the persons and the legal entities involved will follow. The first instance trial is pending. At the end of 2012, Eni contacted the U.S. Department of Justice and the U.S. SEC in order to voluntarily inform them about this matter, and has kept them informed about the developments in the Italian prosecutors’ investigations. Following Eni’s notification in 2012, both the U.S. SEC and the DoJ started their own investigations regarding this matter. Eni has furnished various information and documents, including the findings of its internal reviews, in response to formal and informal requests. (iii) Block OPL 245 — Nigeria. In July 2014, the Public Prosecutor of Milan served Eni with a notice of investigation relating to potential liability on the part of Eni arising from alleged international corruption, pursuant to Italian Legislative Decree No. 231/2001 whereby companies are liable for the crimes committed by their employees when performing their tasks. As part of the investigation, Eni was also subpoenaed for documents and other evidence. 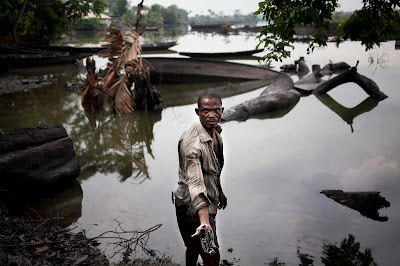 According to the subpoena, the proceeding was commenced following a claim filed by NGO ReCommon relating to alleged corruptive practices that according to the Public Prosecutor allegedly involved the Resolution Agreement made on April 29, 2011 relating to the Oil Prospecting License of the offshore oilfield that was discovered in Block 245 in Nigeria. Eni is fully cooperating with the Public Prosecutor and promptly filed the requested documentation. Furthermore, Eni voluntarily reported the matter to the U.S. Department of Justice and the U.S. SEC. In July 2014, Eni’s Board of Statutory Auditors jointly with the Eni Watch Structure resolved to engage an independent, US-based law firm, expert in anticorruption, to conduct a forensic, independent review of the matter, upon informing the Judicial Authorities. 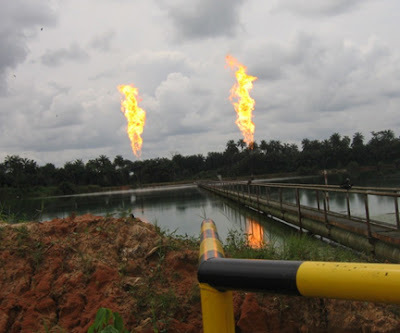 After reviewing the matter, the US lawyers concluded in summary that they detected no evidence of wrongdoing by Eni side in relation to the 2011 transaction with the Nigerian government for the acquisition of the OPL 245 license. The outcome of this review was transmitted to the Judicial Authorities. In September 2014, the Public Prosecutor notified Eni of a restraining order issued by a British judge who ordered the seizure of a bank account not pertaining to Eni domiciled at a British bank following a request from the Public Prosecutor. The order was also notified to certain individuals, including Eni’s CEO and the Chief Development, Operations and Technological Officer, as well as Eni’s former CEO. From the available documents, it was inferred that such Eni officers and former officers were under investigation by the Public Prosecutor of Milan. During a hearing before a court in London in September 2014, Eni and its current executive officers stated their non-involvement in the matter regarding the seized bank account. Following the hearing, the Court reaffirmed the seizure. In December 2016, the Public Prosecutor of Milan notified Eni of the conclusion of the preliminary investigation and requested the indictment of Eni’s CEO, the Chief Development, Operations and Technological Officer and the Executive Vice President for international negotiations, as well as Eni’s former CEO and Eni based on Italian law 231/2001 on corporate entity responsibility. Upon the notification to Eni of the conclusion of the preliminary investigation by the Public Prosecutor, the independent US-based law firm was requested to assess whether the new documentation made available from Italian prosecutors could modify the conclusions of the prior review. The US law firm was also provided with the documentation filed in the Nigerian proceeding mentioned below. The independent U.S. law firm concluded that the reappraisal of the matter in light of the new documentations available did not alter the outcome of the prior review. In December 2017, the Judge ordered the indictment of all the parties mentioned above, and other parties under investigation by the Public Prosecutor, before the Court of Milan. During the first trial hearing in March 2018, the Federal Republic of Nigeria requested permission to join the case as a civil party. Several NGOs, which had made the same request before the Judge of the Preliminary Hearing and been denied, also asked to join as civil parties. At the initial hearing, the court postponed of the trial until May 14, 2018 and transferred the trial to another Section of the Court of Milan that has been designated to preside over the proceeding. The requests by the Federal Republic of Nigeria and NGOs to join as civil parties will be decided at this hearing. In January 2017, Eni’s subsidiary Nigerian Agip Exploration Ltd became aware of an Interim Order of Attachment (“Order”) issued by the Nigerian Federal High Court upon request from the Nigerian Economic and Financial Crimes Commission (EFCC), attaching temporarily the property known as Oil Prospecting License 245 (“OPL 245”) pending a proceeding in Nigeria relating to alleged corruption and money laundering. The Order did not revoke the license but restricted Eni’s ability to dispose of and manage the property. The Order also established that the license would be managed by the Nigerian Department for Petroleum Resources, pending the proceeding ongoing in Nigeria. NAE made an application to discharge the Order (along with the Shell affiliate that holds of the license jointly with NAE). After making this application, Eni became aware of a formal filing of charges by the EFCC against NAE and other parties. Copies of those charges were also filed by the EFCC in the proceeding initiated by NAE and its partner for the discharge of the Order. In March 2017, the Nigerian Court revoked the Order. Eni has provided a copy of the Order and the attached documents, including the charges filed by the EFCC, to the US-based law firm engaged to review the OPL 245 transaction, who upon review of such documents, did not modify their conclusion that they did not detect evidence of wrongdoing by Eni side in relation to the acquisition of the OPL 245 from the Nigerian government. (iv) Congo. In March 2017, the Italian Finance Police served on Eni an information request pursuant to the Italian Code of Criminal Procedure connection with an investigative file opened by the Public Prosecutor of Milan against unknown persons. The request related in particular to the agreements signed by Eni Congo SA with the Ministry of Hydrocarbons of the Republic of Congo in 2013, 2014 and 2015 in relation to exploration, development and production activities concerning certain permits held by Eni Congo SA for Congolese projects and Eni’s relationships with Congolese companies that hold stakes in. In July 2017, the Italian Financial Police served on Eni with another information request and a notice of investigation pursuant to Italian Legislative Decree No. 231/2001 for alleged international corruption. The request expressly stated that it was based in part on the March 2017 information request and concerned the relationship of Eni and its subsidiaries with certain third-party companies from 2012 to the present. Eni has produced all of the documentation requested in the March and July 2017 information requests and has voluntarily disclosed this matter to the relevant US authorities (SEC and DoJ). On January 26, 2018, the Public Prosecutor’s Office requested a six-months extension of the deadline for conducting its preliminary investigation into this matter, from January 31, 2018 until July 30, 2018. In April 2018, the Public Prosecutor of Milan served on Eni SpA a further request for documentation and notified the Chief Development, Operation & Technology Officer of a search order in which he results among the suspects together with another Eni employee. The second and the third proceeding were merged in the proceeding commenced by Public Prosecutor’s Office of Rome. In fact, the Public Prosecutor’s Office of Rome has alleged the existence of a criminal conspiracy aimed at habitual subtraction of oil products at all of the 22 storage sites which are operated by Eni over the national territory. Eni is cooperating with the Prosecutor in order to defend the correctness of its operation. On September 2014, a search was conducted at the office of the former chief operating officer of Eni’s Refining & Marketing Division following an order of the Public Prosecutor of Rome. The motivations of the search are the same as the above-mentioned proceeding as the ongoing investigations also relates to a period of time when the officer was in charge at Eni’s Division. On March 2015, the Prosecutor of Rome ordered a search at all the storage sites of Eni’s network in Italy as part of the same proceeding. The search was intended to verify the existence of fraudulent practices aimed at tampering with measuring systems functional to the tax compliance of excise duties in relation to fuel handling at the storage sites. In September 2015, the Public Prosecutor of Rome requested a one-off technical appraisal aimed to verify the compliance of the software installed at certain metric heads previously seized with those lodged by the manufacturer at the Ministry of Economic Development. The technical appraisal verified the compliance of the software tested. On this occasion, the proceeding has been extended to a large number of employees and former employees of the company. In November 2017, the Court of Rome, following the request of the Public Prosecutor, carried out a preventive seizure of the oil products meters at Eni’s refineries and depots in Italy. 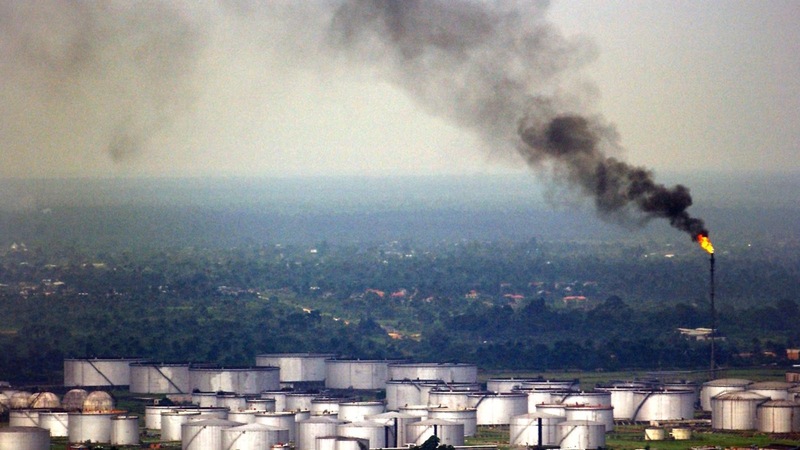 The Company, considering the consequences connected to a complete shutdown of the refining and fueling activities, has requested the Public Prosecutor to minimize, as much as possible, the impact on customers, companies and service stations. After a few days, the preventive seizure was revoked, due to the commitments undertaken by the Company that is a third party not subject to investigation. Eni continues to provide full cooperation to the judicial authorities. In December 2017, technical consultants of renowned expertise were nominated as part of the procedure, with the aim of verify the integrity of the sites under seizure. The results will be provided to the judicial authorities. The investigations are underway. On March 26, 2018, the Public Prosecutor of Rome notified the conclusion of the preliminary investigations in relation to the criminal proceeding no. 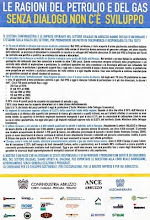 7320/​2014 concerning the Calenzano, Livorno, Sannazzaro, Pomezia, Naples, Gaeta and Ortona sites. Based on the outcome of the investigations, as far as Eni is concerned, the proceeding involves former managers and directors of the refineries indicated above concerning alleged aggravated and continuous non-payment of excise duties, alteration and removal of seals, use and possession of false measures and weights. In addition, some deposit employees and their manager were indicted of alleged procedural fraud. (ii) Public Prosecutor of Milan — Criminal Procedure no. 12333/2017. On 6 February 2018, the Public Prosecutor of Milan notified to an Eni’s manager a search and seizure decree in relation to allegations of associative crime aimed at slander and at reporting false information to a Public Prosecutor. In the decree, the Prosecutor of Milan included, among the other suspects, the former Chief of the Legal and Regulatory Affairs of Eni, currently the Chief Gas & LNG Marketing and Power Officer of the Company. According to the decree, the association would be aimed at interfering with the judicial activity in certain criminal proceedings that involve, among others, Eni and some of its directors and managers. Furthermore, Eni is not under investigation. 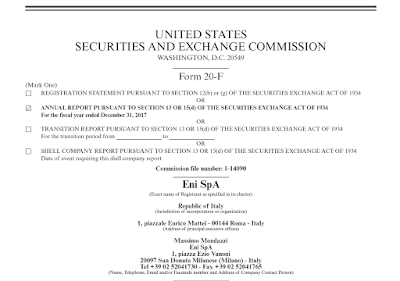 (i) Eni SpA — municipal tax related to certain oil platforms located in the Italian territorial waters. 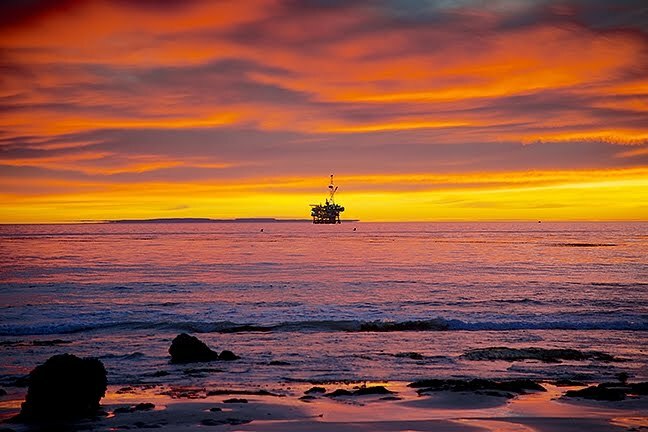 Several tax proceedings were pending in Italy, as certain municipalities claimed Eni SpA omitted payments of a tax on property relating oil platforms located in the territorial waters under the municipality administration. After completing all degrees of judgment before Italian tax courts, in February 2016, the Third Instance Court sentenced that: i) property taxes on platforms are due by Eni; ii) the taxable basis is to be defined by considering the platforms carrying amounts, instead of the replacement cost; iii) sanctions are not applicable. Based on the outcomes of the resolutions, Eni started an extrajudicial procedure to reach settlements on the matter with the local authorities who submitted claims against the Company based on the taxability of oil platforms. Following the expectation of management to successfully conclude these settlements, Eni accrued a tax provision. (ii) Eni SpA — Excise taxes. Eni defined a settlement with the Customs Agency that definitively closes a tax dispute for alleged culpable omission to pay of excise taxes (for the period 2003 – 2008) due on 650 million cubic meters of natural gas. The initial request presented by the Custom Agency corresponded to €114 million, plus €20 million of interests and €34 million of fines. The Customs Agency reiterated the claim because — even if the incidence of the calorific value has been acknowledged by a technical and scientific point of view — at the same time the matter has not been explicitly regulated by an administrative act. This position was also recently confirmed by the Provincial Tax Commission of Milan to which Eni had presented appeal, confirming that the evidences of Eni were founded. Furthermore, the Tax Commission ruled that the claims for the years 2003 and 2004 are prescribed and annulled all the fines, reducing the claim by €90 million (from €168 million to €78 million). Eni and the Customs Agency agreed for an amount close to the one indicated by the Tax Commission. 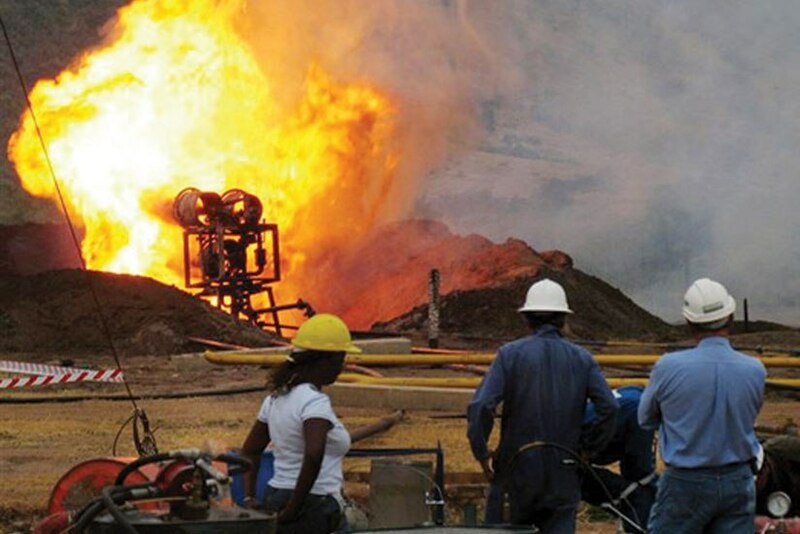 (iii) Eni Angola Production BV. The international oil companies operating in Angola, among which Eni, and the tax Authorities of the Country have defined a global settlement agreement that ends a number of disputes that lasted for about 15 years regarding the deductibility of certain costs relating to PSA oil activities, as well as the timing of the deductibility of the investments in progress. This agreement provides for the recognition to the Angolan Authorities of a part of the taxable amounts contested as petroleum income taxes. With regard to Eni, the amount accrued resulted sufficient to sustain the charges of the aforementioned global settlement. (i) Eni SpA — Industrial site of Praia a Mare. Based on complaints filed by certain offended persons, the Public Prosecutor of Paola started an enquiry about alleged diseases related to tumors that those persons contracted on the workplace. Those persons were employees at an industrial complex owned by a Group subsidiary many years ago. At the trial, 189 persons stand as plaintiff and 107 persons stand as offended party by the alleged crime. Upon conclusion of the preliminary hearing, the Public Prosecutor resolved that all defendants would stand trial for culpable manslaughter, culpable injuries, environmental disaster and negligent conduct about safety measures on the workplace. Following a settlement agreement with Eni, Marzotto SpA signed settlement agreements with all plaintiffs, except for the local administrations. In December 2014, the Court issued an acquittal sentence for all defendants, as the indictment was found groundless. The Public Prosecutor appealed against the sentence. In September 2017, the Second Degree Court upheld the acquittal sentence of the first degree. (ii) Seizure of areas located in the Municipalities of Cassano allo Jonio and Cerchiara di Calabria — Prosecuting body: Public Prosecutor of Castrovillari. Certain areas owned by Eni in the Municipalities of Cassano allo Jonio and Cerchiara di Calabria have been preventively seized by the Judicial Authority, following an investigation about an alleged improper handling of industrial waste from the processing of zinc ferrites at the industrial site of Pertusola Sud,. The circumstances under investigation were similar to those considered in a criminal action for alleged omitted clean-up that was concluded in 2008 without any negative outcome for Eni’s employees. Eni’s subsidiary Syndial SpA has removed any waste materials from the landfills. Besides that, Syndial defined an agreement with the Municipality of Cerchiara and the Municipality of Cassano to settle all claims relating to alleged damages caused by the unauthorized waste disposal in the landfills on the territory of the two Municipalities. The remediation activities were completed and the proceeding was closed in May 2017. (iii) Iraq — Kazakhstan. A criminal proceeding was pending before the Public Prosecutor of Milan in relation to alleged crimes of international corruption involving Eni’s activities in Kazakhstan regarding the management of the Karachaganak plant and the Kashagan project, as well as handling of assignment procedures of work contracts by Agip KCO. The Company filed the documents collected and fully cooperated with the Public Prosecutor. A number of managers and a former manager were involved in the investigation. The above-mentioned proceeding were combined with another (the so-called “Iraq proceeding”) regarding a parallel proceeding related to Eni’s activities in Iraq. In June 2011, Eni Zubair SpA and Saipem SpA in Fano (Italy) were searched by the Judicial Authorities. The search involved the offices of certain Group employees and of certain third parties in connection with alleged crimes of conspiracy and corruption as part of the “Jurassic” project in Kuwait. Particularly, the alleged crimes would have been committed in order to illicitly influence the award of a construction contract outside Italy where Eni was the commissioning entity. Considering the claims of the Public Prosecutor, Eni and Saipem believed that they were damaged by the crimes committed by their employees. Eni considered those employees to have breached the Company’s Code of Ethics. In spite of this, Eni SpA and Saipem SpA were notified of being under investigation pursuant to the Legislative Decree No. 231/2001, which establishes the liability of entities for the crimes committed by their employees. Eni SpA was notified by the Public Prosecutor of a request of extension of the preliminary investigations that has led up to the involvement of another employee, as well as other suppliers in the proceeding. In April 2012, the Public Prosecutor of Milan requested Eni SpA to be debarred for one year and six months from performing any industrial activities involving the production sharing contract. In July 2013, the Judge for Preliminary Investigation rejected the request for precautionary measures requested by the Public Prosecutor of Milan the Court considered the request groundless due to the lack of serious evidence against Eni and accepted the defense arguments for which Eni suffered severe damages from misperformances of some suppliers involved in the Kashagan project. In addition, the Court declared the lack of precautionary requirements considering the reorganization of the activities in Kazakhstan and taking into account of the initiatives of the internal audit promptly adopted by Eni. Based on this decision, in March 2014, Eni’s legal team requested the dismissing of the proceeding. The Prosecutor’s Office accepted the request for dismissal of all the defendants in January 2017 and, finally, the proceeding was closed in March 2017. (iv) Block Marine XII — Congo. In July 2015, Eni received from the U.S. Department of Justice an order to produce documents in view of the hearing of an Eni employee, relating to the assets “Marine XII” in Congo and relationships with certain persons and companies. According to preliminary informal contacts between Eni’s U.S. lawyers and the DoJ, this hearing is part of a broader investigation, which is currently being carried out with regard to third parties. Eni has completed the production of documents required by the DoJ.